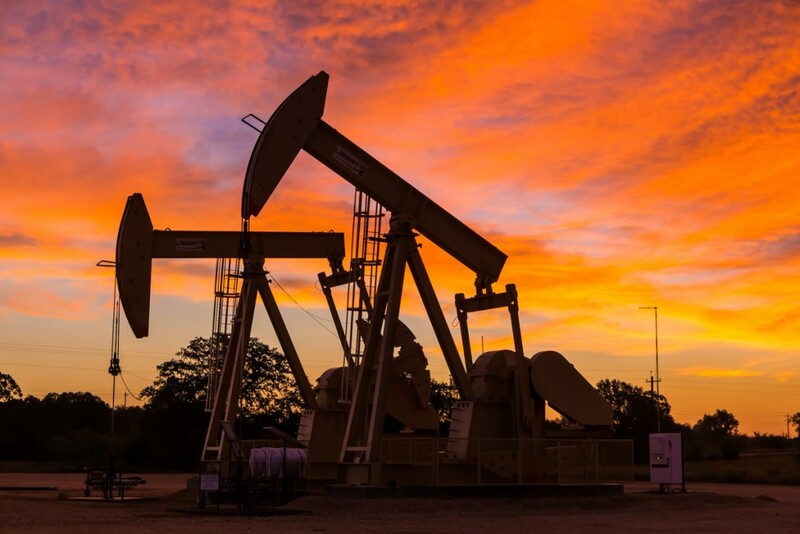 It takes superior pumping solutions to get the most out of an oil and gas well, and Liberty Lift has the technology, equipment and knowhow to implement those solutions. Our chief management has more than a century’s worth of experience in designing and applying pump and lift solutions. And Liberty Lift’s service team is always available for any reason whatsoever. We have a sales and service team located in the Oklahoma City area to handle all of your needs, including a new gas lift facility. Put it all together, and it’s clear why Liberty Lift is at the top of the industry. Liberty Lift has a single mission in mind – to constantly adapt to the changing needs of the oil & gas industry where lifting is concerned. Oil & gas companies must navigate the challenging, ever-changing world of well creation, maintenance and extraction, and Liberty Lift is ready to assist with the challenge. Our pumping units operate using the most innovative and efficient technologies available, and are built to beat API 11E specifications. Whether lifting oil or gas, whether managing a shallow or deep well, or whether handling a high or low flow rate, we have the solution. Liberty Lift’s leadership has more than a century of work in the oil and natural gas lift industry, so we know how particular rig operators are about their iron. And we know that oil & gas companies don’t want to leave anything behind, so Liberty Lift has a well stimulation product for every application. Our beam pumping units are simple, efficient and versatile. Our gas lift systems are ideal for offshore applications and can shrug off wells with a lot of solids. Our hydraulic jet pumping units can lift from extreme depths and are uninhibited by deviated or crooked wells. And Liberty Lift’s XL Long Stroke unit allows for total production optimization, with variable pump speeds and fillage rates. All of that iron is built to best API 11E standards and is supported by Liberty Lift’s service team. Our team is available 24/7 and anywhere in major U.S. drilling regions. Every well will need artificial lift if maximum efficiency and volume is to be achieved. And Liberty Lift can provide the iron and insight to make that happen. If there is one challenge that every rig operator has to deal with constantly, it’s low pressure. As conditions in the well change with extraction, low pressure inevitably becomes an unavoidable reality. Liberty Lift is here to change that, with artificial lift systems that can serve admirably in any application. Our beam pumping units, gas lift systems, hydraulic jet pumping units and XL Long Stroke units are designed to provide optimal well pressure with total reliability and durability. Together, that makes for a true cost effective solution. Our premier products are backed up by a team of world-class service staff. Liberty Lift’s leadership team brings more than a century of oil and natural gas lift experience to the company, so we know what issues pop up as a pumping unit is stretched out. And for that reason, we maintain the industry’s best support crew, with total, around the clock availability, both in-facility and in the field. Artificial lift systems are constantly punished and must be managed to protect their level of production. Liberty Lift can provide such management and support services to any well in U.S. drilling regions, or provide that service at one of our many facilities. In the field, our service professionals can inspect and maintain Liberty Lift pumping units, install new components or entire lift systems, and optimize existing units so that they are getting every last drop from the well. At our facilities, Liberty Lift can perform comprehensive repair, testing and fabrication services, or draw from our inventory to ensure our clients always have the parts they need. We take support seriously so you can get serious with your production. A strong engineering and manufacturing core is essential in the artificial lift industry, and Liberty Lift brings both to all of our clients. Every one of our pumping unit technologies are drawn up by our engineering team, manufactured to API 11E and other API quality standards, and installed by the best support team the industry can offer. It’s a formula that guarantees better productivity, better reliability and better safety. Liberty Lift can customize its solutions for every client, too, and manage those solutions over the well’s life cycle, optimizing its output until it runs dry. Liberty Lift’s beam pumping units optimize every element of the rugged technology, combining excellent durability, ease of use and efficient operation into a formidable whole. Our beam pumping units are available in a pair of designs, both of which have been drawn up and designed by Liberty Lift engineers. Beyond design, we also manufacture, install and supports our beam pumping units, ensuring their continued utility for decades. Liberty Lift’s High Efficiency, or HE, model is our standard configuration model, made to exceed API 11E specifications and capable of running clockwise or counterclockwise. Our Enhanced Geometry, or EG, model extends crank rotation to an impressive 192 degrees, providing extra upstroke and reduced downstroke so that the unit can do more work. Both the HE and EG models are constructed from cast and forged steel and are supported by Liberty Lift facilities and component fabrication capabilities. As such, it’s a cinch for Liberty Lift’s support team to keep our pumping units running, and the well flowing for our clients. There aren’t many drawbacks associated with gas lift technology. It’s safer than most other options, it can be used without difficulty in nearly any setting, it is easy to adjust and it’s a cinch to maintain. The only real issue with gas lift options is their cost of operation, but Liberty Lift’s systems are readily supported, so downtime is practically non-existent. Our gas lift systems can serve admirably in wells that would wreck other pumping units. From the Permian Basin to remote offshore rigs, Liberty Lift’s gas lift technology is a workhorse. Each system is fitted with flow-performance tested gas lift valves and mandrels, and when field maintenance or component replacement is needed, our support professionals will be there, no matter the time of day. Liberty Lift systems are designed for both continuous and intermittent use, and with few moving mechanisms, they are easy to use and easy to keep running. The result is an artificial lift technology that keeps everything flowing along. Liberty Lift’s XL Long Stroke units are redefining what productive artificial well lift looks like. Long stroke technology is lauded for its excellent efficiency, and the XL Long Stroke, with its 306-inch stroke length, gets every last bit of efficiency out of the pump. The slower stroke cycle contributes greatly to the pump’s long term performance, as the rod string, tubing and bottomhole components are exposed to minimal wear. Of course, the XL Long Stroke can be optimized for most pump speeds and fillage rates, so it can be adapted to any well operation. What makes the XL Long Stroke particularly cost effective is that Liberty Lift provides extensive, ongoing support for all of its artificial lift units. That includes in-facility and field services. Our exemplary team can readily inspect, maintain and replace components, using our array of fabrication and machining tools. The XL Long Stroke is a marvel of oil and gas lift technology, and with Liberty Lift backing it, it will be a real workhorse for rig operators. Liberty Lift may be an artificial lift solutions provider first and foremost, but our versatility is what separates Liberty Lift from other manufacturers. In addition to designing and building the most advanced oil and natural gas lift systems in the industry, Liberty Lift partners with our clients to support their operations long term. For example, Liberty Lift keeps an extensive inventory of everything associated with artificial lift. These components and full lift systems can be delivered to our clients with haste, often in response to issues identified during a field inspection. In short, Liberty lift implements artificial lift solutions, and guarantees their continued effectiveness. We also partner with other companies to help provide the very best equipment, as we have done with our hydraulic jet pumps. Few artificial lift options can match hydraulic jet lift pumps in terms of adaptability and ease of use, and Liberty Lift, along with JJ Tech, have enhanced those features. With a Wanner Engineering surface diaphragm pump, which utilizes positive displacement, and a JJ Tech downhole pump, this solution is effective for nearly any well. That includes wells with high solid concentrations, like those encountered during frac operations. The Liberty Lift and JJ Tech system is designed for maximum usability, both for the operator and for maintenance personnel. It is configured for easy throat and nozzle repair onsite, and the downhole pump can be readily retrieved for rapid maintenance. JJ Tech has built their pump with materials proven for challenging downhole environments, and augmented it with coatings that provide even more resistance to corrosion and wear. The surface pump is fitted with multiple sensors, a mechanical safety valve, a 3-inch duplex strainer and a turbine flow meter that makes consistent, safe operation easy to manage for the operator. Liberty Lift and JJ Tech’s partnership is good news for oil & gas companies, which can now buy or rent the best hydraulic jet lift system the industry has ever produced.